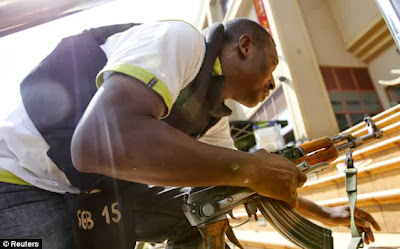 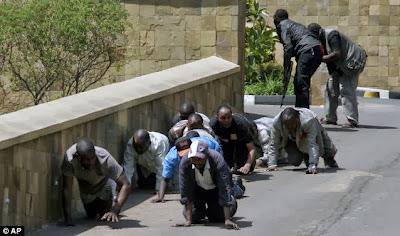 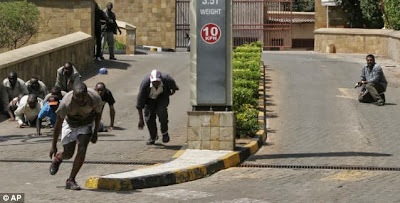 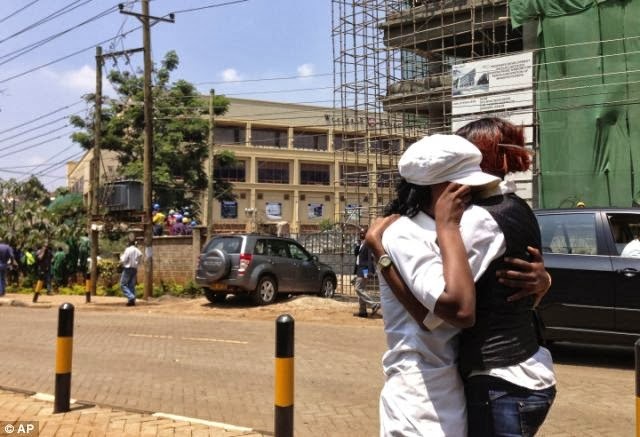 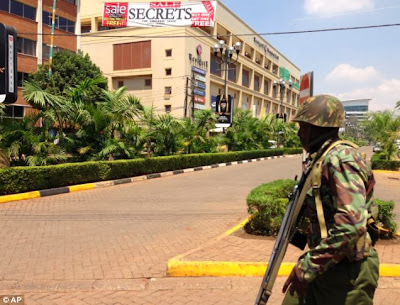 Gunmen stormed a shopping mall in Nairobi, Kenya this afternoon Saturday September 21 killing at least 22 people in what could possibly be a terrorist attack. An eyewitness claimed the gunmen told Muslims to stand up and leave the mall and that only non-Muslims would be targeted. 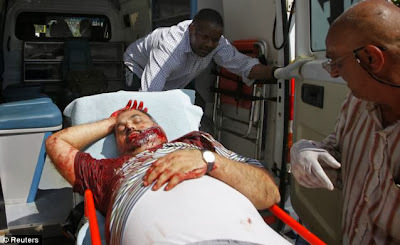 By the time they finished shooting indiscriminately, at least 22 were dead and at least 50 people injured. 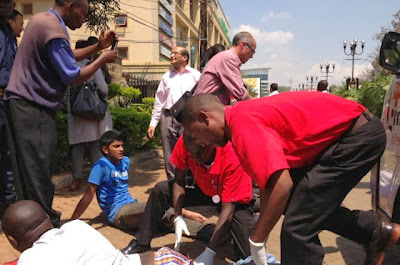 One survivor said and that the attackers started from the Westage mall ground floor and made their way to the top. 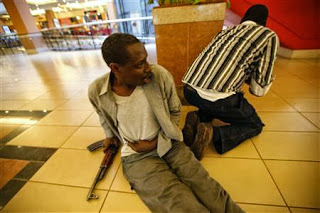 He said they had grenades and AK-47 rifles and he saw at least five of them. 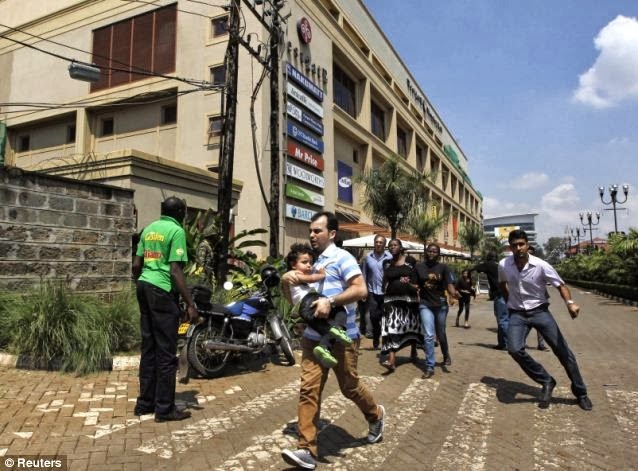 Local TV stations reported that the gunmen took hostages as soldiers and local policemen surrounded the mall. 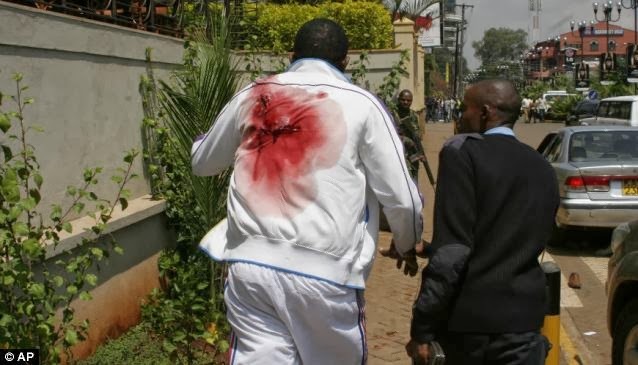 Another survivor said he was shot at by a man who looked like a Somali. The Somali militant group al Shabaab had previously threatened to attack hotels, nightclubs and the Westgate mall, which is one of the biggest malls in the city, popular with the city's expatriate and foreigners...but there's no official confirmation for now that the group is behind this attack.